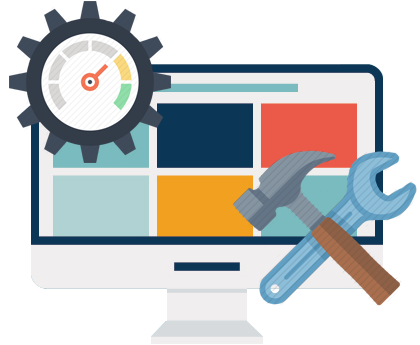 We understand that your website needs to be taken care of, updated and you need reassurance that everything is running perfectly. That’s why we help local Ottawa businesses, as well as others around the country, with a range of dedicated website maintenance packages that give our clients the peace of mind that their website will always be live and updated to ensure its security is maintained. We can also help add in new pages, content or features – all you need to do is let us know what you need and we will get you a free no obligation quote, once confirmed we will then book in your updates and report back to you once complete. If you need ongoing assistance updating your WordPress or HTML-based website content, design or plugins, then we offer cost-effective solutions to assist you without having to quote each month, you get a set amount of hours and we can do what you require within them. 1 – Simply contact us with what you require and if you need it as a one-off job or if you would like a monthly package, then we will get back to you with prices for this..
2 – When you have an update you need, simply send us the details and we’ll schedule it in and give you a date when we will do it. 3 – We track time by the minute, and if you have a monthly package we deduct it from your allowance, or if you have a one-off job we quote for it before so you never have any nasty surprises. 5 – We get to understand your website quickly, meaning that future updates are completed quicker thus saving you money in the long term. Simply contact us and we would be happy to discuss your exacting needs.